Vitamix has a single deal for Memorial Day 2018. The Certified Reconditioned 7500 is $90 below its already reduced reconditioned price. (Follow this link to apply free shipping.) If you prefer a different model, see the end of this post for a bonus offer. Certified Reconditioned machines are guaranteed to be as good as new, and they come with a 5-year warranty. This is a great price for this machine, and its $30 lower than last year’s Memorial Day Sale. 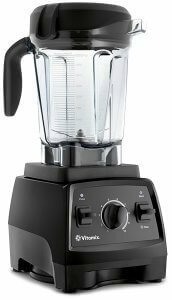 I believe Vitamix is planning on phasing out this model, so this may be the last chance to pick one up at this price. Note that even if Vitamix stops selling this model, they will still continue to support it for many years. The 48-oz and 64-oz containers that come with the new Ascent and Explorian models work on the 7500, so you shouldn’t worry about ending up stranded with discontinued technology if you want to replace the container ~20 years from now. This sale will likely expire at 11:59PM Eastern on May 31st, so don’t miss out! If you order a Vitamix machine other than the Reconditioned 7500 from Vitamix.com in the US, UK, or Canada, you can get an Amazon gift card for $20 (USD or CAD) or £20. 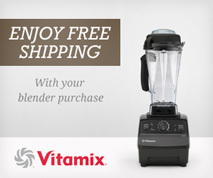 To get the gift card, click any Vitamix.com link from this site directly before placing your order. Then forward your order confirmation to bonus@joyofblending.com. (If you are in the UK or Canada, please add that in all caps at the top of the order confirmation so that I get you a .co.uk or .ca gift card.) Valid for orders placed by midnight on Memorial Day 2018 (May 28th).